You can collect die-cast replica wands of your favorite characters from the Harry Potter and Fantastic Beasts series! There are 12 wands to collect in the set, including the wands of Harry Potter, Hermione Granger, Ron Weasley, and other wizards. These wands are 4-inch scale and include a stand for display. 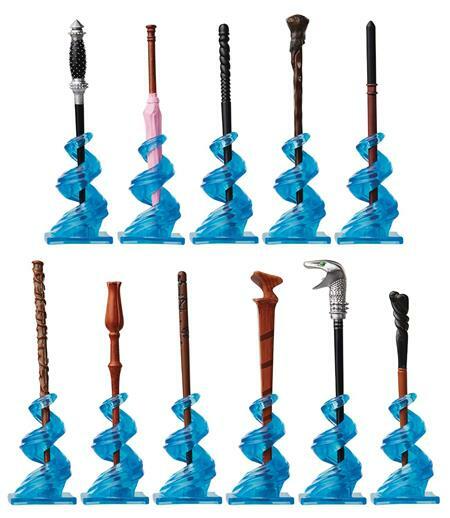 Each wand is packed in a blind mystery box. The wand chooses the wizard each time!